After reading Chicana Falsa and other stories of death, identity and Oxnard, I attempted to get her to visit Cal State San Bernardino but, sadly, someone dropped the ball and it didn’t work out. But I made it a goal to someday interview her. A few months ago I friended her on Facebook and sent her a message asking if she would be interested in being interviewed for Orange Monkey, because I thought, “What the heck, the worst she could say is no.” Obviously, that wasn’t the case and I was able to ask her questions that I’ve been holding onto for the last ten years and finally cross, “Interview Michele Serros” off my bucket list. 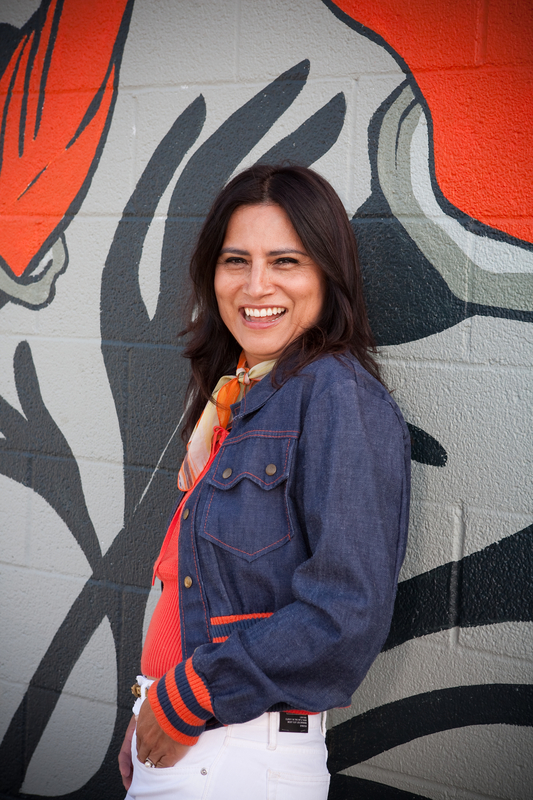 Michele Serros is the author of Chicana Falsa and other stories of death, identity and Oxnard, How to be a Chicana Role Model, Scandalosa!, and Honey Blonde Chica. In addition she has been a writer for The George Lopez Show and is a commentator for NPR. On a chilly December afternoon Isabel Quintero-Flores sat down for a conversation with memoirist James Brown in his dim lit office on the California State University, San Bernardino campus. 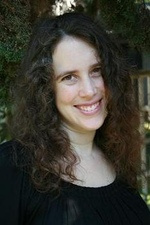 Brown is the author of the award-winning The Los Angeles Diaries, and the more recent This River; both memoirs are about addiction, life, death and love. This River is the sequel to The Los Angeles Diaries and chronicles the almost immediate relapse of the author into the abyss that is drug addiction and the demons that must be slain in order to remerge-but never unscathed. The book is a collection of twelve vignettes that traverse the seedy underbelly of San Bernardino’s ghettos to the picturesque San Bernardino Mountains on a dark and personal journey towards redemption, however uncertain. Brown’s prose is vivid and honest-it hides nothing and spares no one, especially himself. An example of this is “Instructions on the Use of Heroin” where the readers are allowed into a very private ritual, “So they can see better, the kneel on the floor before the table lamp. They search, and in the dim light, heads bowed and blood leaking from their wounds, it looks to me as if we are all engaged in some grotesque act of prayer.” Somehow, though we learn that addiction is forever and that there is no true escape, as the narrator had suggested at the end of the first book, there is a sense of personal growth, true recovery and hope, which is ultimately what drives each story. Gayle Brandeis grew up in the Chicago area and has been writing poems and stories since she was four years old. She is the author of Fruitflesh: Seeds of Inspiration for Women Who Write (HarperOne), Dictionary Poems (Pudding House Publications), the novels The Book of Dead Birds(HarperCollins), which won Barbara Kingsolver’s Bellwether Prize for Fiction in Support of a Literature of Social Change, Self Storage (Ballantine) andDelta Girls (Ballantine), and her first novel for young readers, My Life with the Lincolns (Holt). She released The Book of Live Wires, the sequel to The Book of Dead Birds, as an e-book in 2011.